The Gift Card Buyer for Fast Cash in Minutes! When we enter times of financial needs, which seems like it happens more often than it should, we seem to run out of directions to turn. We certainly can’t sell our phone, our laptops, our televisions, because we need these things. But we often forget the way we can get fast cash, and as the number one pawn shop in town, B & B Pawn and Gold has stepped in to fill that gap. 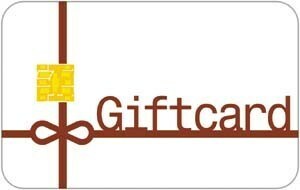 The one source of cash that we all have around our house that is often forgot about is gift cards! We all have them, and can probably name hundreds of dollars in gift cards to stores that we hardly ever shop at anyway. What we forget when we need fast cash, is these gift cards ARE cash! We seemingly get hundreds and hundreds of dollars in gift cards for every big holiday in America now, and can’t seem to spend them fast enough before we get more! As the top gift card buyer in Mesa, Chandler, Tempe, and Scottsdale, I’m here to tell you you can get the fast cash you need in minutes by bringing them to B & B Pawn and Gold. How Does Gift Card Buying Work? The process is incredibly simple, and simply takes a matter of minutes. But first, if you’d like us to be your gift card buyer, I want to give you a warning first. Every gift card has a little grey area that can be easily scratched out, called a PIN number, or Personal Identification Number, similar to what a debit card has. This PIN is unique to every gift card, and is in place so that somebody can’t just steal your gift card number, and spend it online before you have a chance to. So, if you’re going to bring your gift card to our pawn shop, make sure you don’t scratch the PIN off your gift card so that we can get you your fast cash. Now, when you bring in your gift card to our pawn shop, one of our lovely ladies will take it and you will tell her the balance on the card. Once we make a phone call, or check online, to verify the balance, then we’ll make you a cash offer on the spot. If you accept our cash offer, then we’ll go ahead and take a few signatures from you, then send you on your way with cash in your pocket. All of this happens in mere minutes, and can solve whatever financial needs you have. So What if You Spent Some of It? Normally, it doesn’t pose any problem whatsoever! As stated above, the most important thing is that the PIN number is not scratched off on the back of the card. For some retailers, when you use the card inside you don’t have to scratch off the PIN, you just have to swipe it and it works. As long as that PIN is still there, we can still check the balance and buy whatever amount is left on there. What I’m trying to say is that the gift card doesn’t have to be brand new! Don’t think you’re lost and can’t get the cash that’s stuck in the card because you certainly can, just bring it on down to us and we’ll check the balance for you and get that money out of the plastic. We simply don’t want to give you false hope in getting the money you need from these cards. We apologize for the inconvenience, but still encourage you visiting us with any other remaining gift cards. B & B Pawn and Gold has been serving the great areas of Mesa, Tempe, Chandler, and Scottsdale, for over a decade, and is always doing the most we can to get our customers the most cash for their gift cards.